Sauna & Capsule Hotel Fres Inn Sugamo Tokyo, Hotel Japan. Limited Time Offer! Sauna & Capsule Hotel Fres Inn Sugamo. 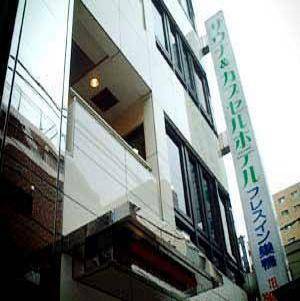 Hotel "Sauna & Capsule Hotel Fres Inn Sugamo" has received 1 star. The residence is located in Tokyo. Breathe some air in the intimacy of the garden. There is a whirlpool bath and a sauna available, a welcome relaxation for body and mind. For those who want to share their experiences instantly, there is Internet access available.